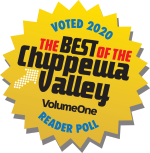 Interested in joining the #1 Best Employer in the Chippewa Valley? We are currently seeking talented individuals to partner with us in a variety of roles. If you would like to join our growing team of professionals, please email your resume to spryse@pesi.com today!!! The Customer Service team is currently seeking to fill an opening for a Customer Service Representative. The PESI Inc. customer service team is collaborative, fast paced and continuously changing and evolving to meet the demands of our business and customer needs. This role is responsible for acting as a liaison between our customers and PESI. As a representative you will be responsible for providing information to customers in response to inquiries about PESI products and services. Responsible for meeting customer service standards outlined by PESI Inc.
PESI is committed to creating a diverse environment and is proud to be an equal opportunity employer. All employment decisions are based on business needs without regard to race, color, ethnicity, religion, gender, gender identity or expression, sexual orientation, national origin, genetics, disability, age, veteran status or any other applicable legally protected status. All qualified candidates are encouraged to apply. The Digital Marketing team is currently seeking to fill the open position of Digital Marketing Strategist. PESI is the nation’s leader in behavioral health education and publishing. The Digital Marketing strategist is an exciting opportunity to build PESI's competitive advantage by creating and executing innovative digital strategies that support overall marketing and business objectives. You’ll be joining a dynamic and fun team of marketers that are passionate about creating world-class innovative digital marketing solutions to drive revenue and customer satisfaction. You’ll play a crucial role in helping our team to reach the right people at the right time with the right message. Design and execute digital marketing strategies using all necessary tools (e.g. website, emails, social media and blogs). Write compelling and strategic marketing content. Develop HTML email templates and execute email campaigns using an EMS. Develop, execute and maintain social media campaigns. Measure and analyze digital campaign performance. Proactively research and stay up-to-date on our audience’s preferences. Make data driven decisions related to the design and development of new campaigns/content ideas. Communicate with cross-departmental stakeholders and speakers/experts. Be curious. Monitor and stay current on industry digital marketing trends, tools and resources. College Degree in Marketing or related field and/or relevant sales/marketing experience. 3+ years’ experience in digital marketing. Coachable, motivated and entrepreneurial-minded individual. HTML experience with the ability to code and debug emails using an HTML editor, i.e. Dreamweaver. Experience with digital marketing copywriting. Ability to effectively manage production schedules and changing initiatives while meeting deadlines. Motivation to quickly learn new technology. Excellent problem solving skills in challenging and fast-paced environments. The Information Technology team is currently seeking to fill the open position of Software Engineer. Join a team that is working together to change how we reach our customers by developing new and innovative solutions to create efficiencies, expand our capabilities, and provide our customers with the best in class experience. PESI is the nation’s leader in behavioral health education and publishing, with offices on three continents and looking to expand. Join a company with a culture that embraces inquisitiveness, responsibility, collaboration and continual learning and growth.